Today I am sharing my very first Pat McGrath purchase and I could not be more excited. If you follow me online, you might know that I haven't ever really seen the hype when it comes to Pat McGrath and her large Mothership palettes. I think they're beautiful: I love the black enamel case, outer packaging, I love the pops of color in some of the palettes, but I never saw a need to dish out $129 on any of them, until recently. The Decadence palette has been on my loves list awaiting the Sephora VIB Sale since January, and then she launched her smaller palettes including one filled with my exact type of shades. 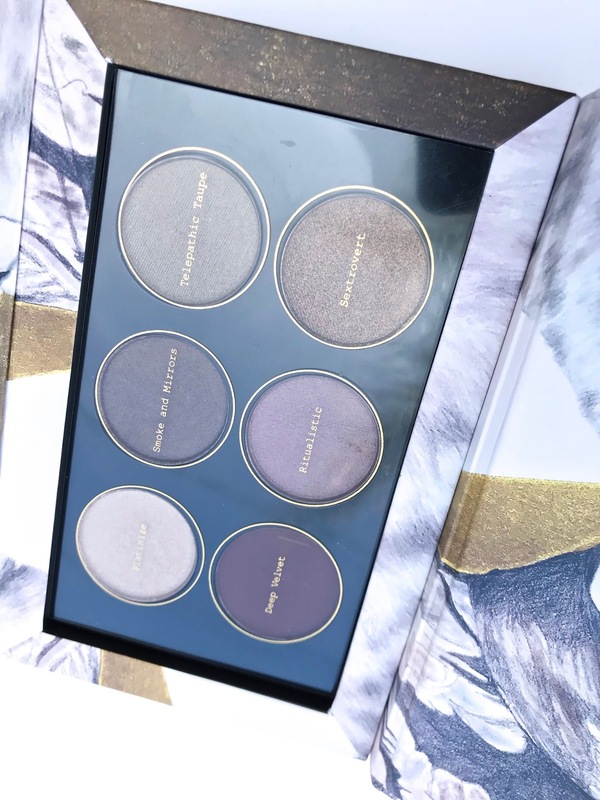 This is the PAT MCGRATH LABS MOTHERSHIP Subliminal Platinum Bronze Eyeshadow Palette, and from the minute I first saw this palette, I realized that this is a color scheme that I could have put together myself. In fact I recently bought my first ABH quad and it's got a similar-ish color story. The PAT MCGRATH LABS MOTHERSHIP palettes are $55 and available in three shades: Subliminal Platinum Bronze, Subversive La Vie en Rose and Sublime Bronze Ambition. 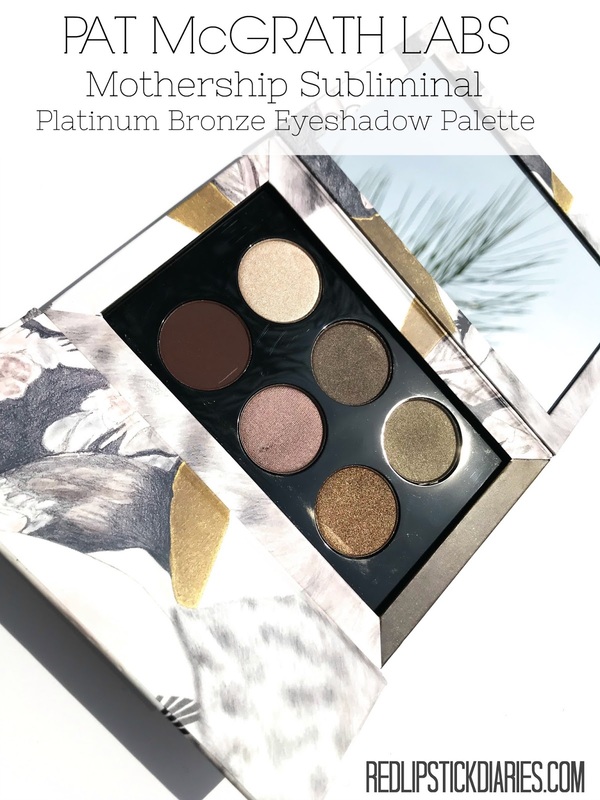 Of the three palettes this is the cool toned version filled with rich and decadent looking shades. This color story gives me a very elegant and glamorous vibe, I think it's an amazing color scheme, truly. Like mentioned above, I have always loved the packaging of the Mothership Palettes, especially the outer box with the amazing artwork. The fact that these smaller palettes are encased in the box and include the artwork of the corresponding large palette, is amazing. I don't own a more cooler and beautiful palette than this, and I own a lot of them. I admit that the design can be a bit cumbersome when it's time to use the palette and you are actually trying to use the mirror, it can get a bit awkward to maneuver the flaps. However, it's nothing out of this world and it would not deter me from buying more of these palettes. The only thing I don't like at all, and already got rid of, is the plastic sleeve with the shade names. I noticed that had been cutting into the shadows when it was time to pull it off. I suggest taking it off and sticking it to the back or just throwing it out immediately. 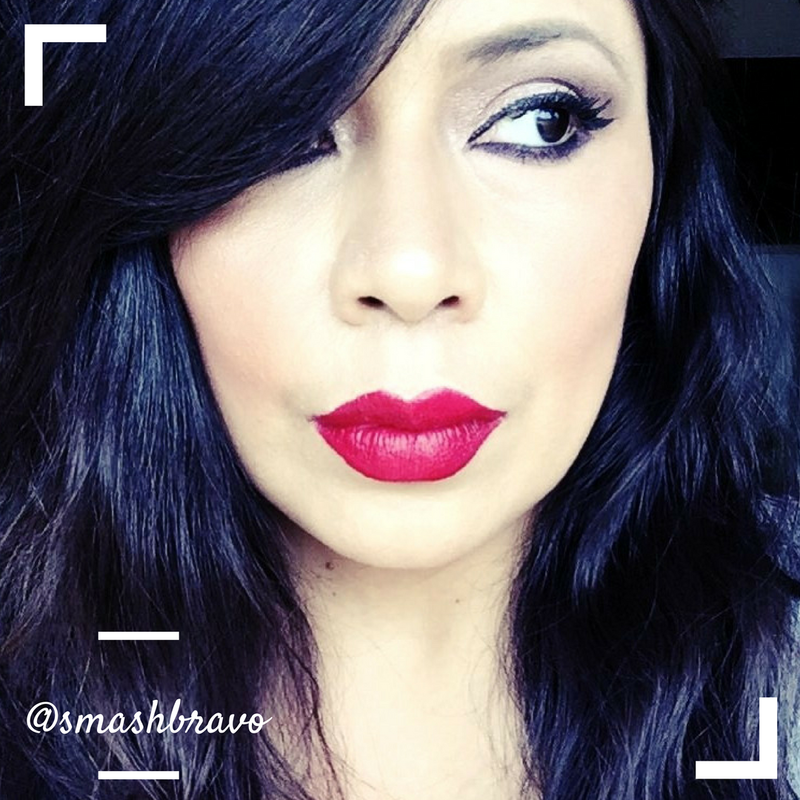 PAT MCGRATH LABS MOTHERSHIP Subliminal Platinum Bronze Eyeshadow Palette in direct sunlight. I'd actually had this palette for a few weeks before even swatching it. After seeing so many mixed reviews for it, the excitement of it had worn off on me. But from the minute I swatched the very first shade, I was D.O.N.E. These eyeshadows are creamy, pigmented and full-on majestic. As I was swatching them, they just got better and better (the bottom row is def my favorite). And even though these swatches look amazing, they don't capture how truly beautiful they are in person. The shade Telepathic Taupe is stunning in person, it's a glittering greige that sparkles in the sun. I think this is one of the most special shades in the palette, even though you see none of that magical glitter in these swatches. Sextrovert, the metallic bronze did give me some fall-out. This is probably the most stunning shade in the palette, and on the eyes it applies so intensely. But the texture on that one is a bit thick, therefore the bit of fall-out. Deep Velvet is a shade I love, I own a lot of versions of this type of shade from Mac to ABH. This is a shade that I like to call "my black shade" because it's the perfect shadow for deepening and smoking out any look. It's the only matte in the palette and it swatches perfectly, with not a single bit of patchiness. On the skin this shadow practically blends itself, I love it! Let's not even talk about Ritualistic, a metallic mauve brown that has that hint of mauve and purple and is just so soft and creamy. Again, another shade that is right up my alley. In case you haven't already noticed, I am absolutely and unequivocally in love with the Subliminal Platinum Bronze Eyeshadow Palette. Everything from the design, the color scheme, to the formula is amazing. The only shadows that I have ever used that are on par with these have to be those of Natasha Denona. 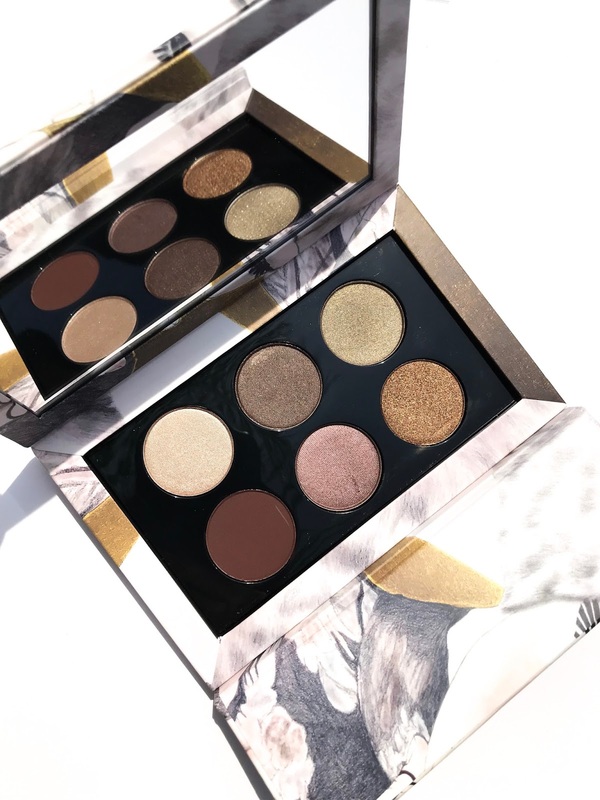 I am officially on the PAT MCGRATH LABS train and I can't wait to see the next batch of these smaller palettes that she is surely to follow up with. I highly suggest keeping one of these on your list for the Sephora VIB Sale. Purchase the PAT MCGRATH LABS Subliminal Platinum Bronze Eyeshadow Palette on Sephora or directly from PAT MCGRATH LABS. FYI: I love this palette so much that I purchased a second for gifting during the Sephora VIB Sale. *This post contains affiliate links. Purchases made through these links will earn me a small commission. Thanks in advance if you decide to support my blog with your purchases.